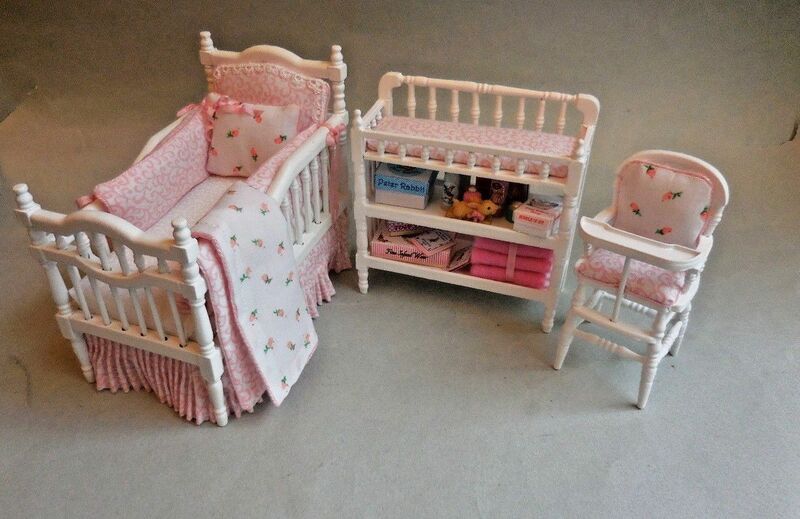 White twin size metal bed for a girl's bedroom. 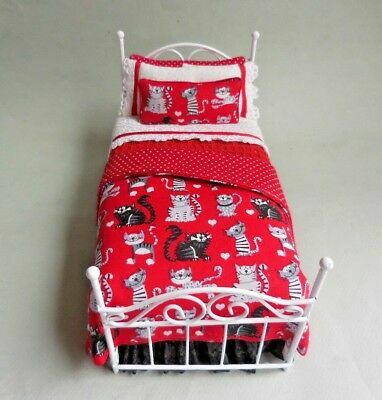 With white lace edged sheets and a red woven blanket. 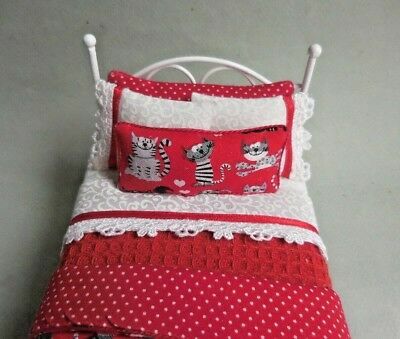 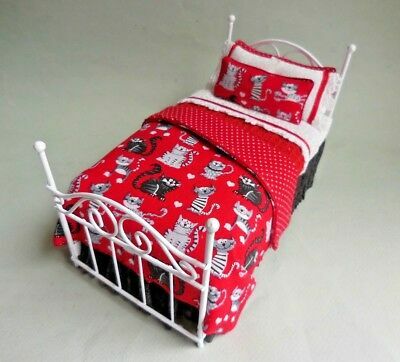 The quilt is cute silly cats paired with a red dot fabric. 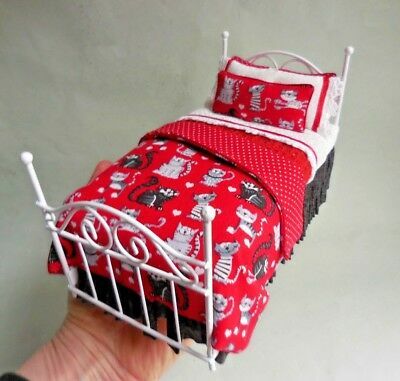 The bed is 7" long, 3 1/2" wide and 4" tall.